Mount Tabor United Church of Christ was created in 1928 by the merger of the German Evangelical Bethlehem Church and Messiah Evangelical Church. Bethlehem, was the older congregation. 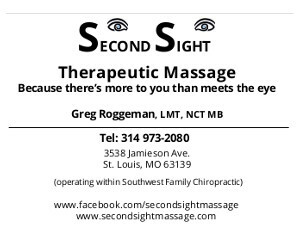 It was founded in 1889 at the northeast corner of Shaw Avenue and Hereford Street in an isolated, largely unpaved part of South St. Louis, then known as the Fairmount District and now known as The Hill. 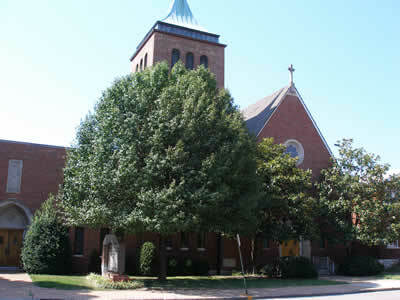 A general population shift occurring at the turn of the 20th century caused many Bethlehem parishioners to move to newer homes west and south of the original church location. 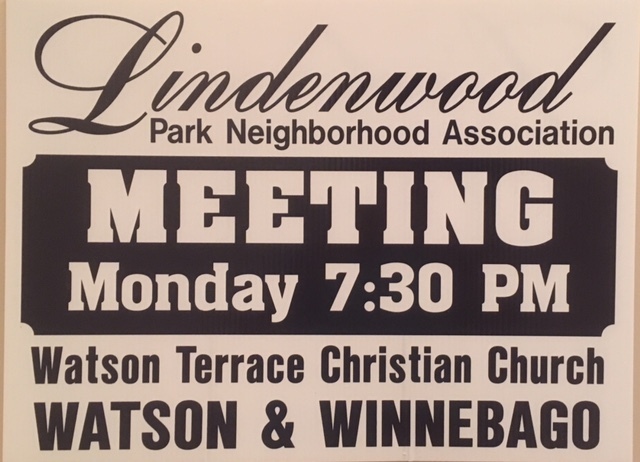 In 1917, the church followed the population shift to a new location at 5601 Reber Place at the corner of Southwest Avenue. Messiah began in the Clifton Heights neighborhood in the 1920s when a group of people petitioned the Extension Board of the Evangelical North American Synod for assistance in forming a mission church. A 121 x 200 foot lot at 6520 -24 Arsenal was purchased for $5,000 and the Mission Board provided a small portable building. The new congregation chose the name Messiah Evangelical Church and held its first service on Christmas morning 1924. In the middle of 1927, both Bethlehem and Messiah churches were without pastors. The two Evangelical congregations were situatied within a mile of one another and had comparable net worths. After three joint meetings, February 5-12, 1928 both church councils recommended a merger and both congregations unanimously accepted the recommendations. The congregation adopted a suggestion to name the new church after Mount Tabor in modern day Israel. Official incorporation papers for the Mount Tabor Evangelical Congregation of St. Louis were filed on April 21, 1928. Groundbreaking for a new church structure took place that same month. The new building was erected just east of the Messiah structure in the location of Mount Tabor’s current Educational Building. It was completed July 21, 1928. The church continued to grow in the 1930s and 1940s. In 1934, the Evangelical Synod of North America merged with the Reformed Church of the United States and the congregation became known as Mount Tabor Evangelical and Reformed Church. In 1945, a parsonage was acquired at 6728 Scanlan Avenue. By then, plans were underway for a new church. Groundbreaking occurred on June 19, 1949 for a new structure to the west of the 1928 church building. This new sanctuary was completed and used for the first time on January 7, 1951. Shortly after the completion of the Sanctuary, the congregation planned for future needs by purchasing two small homes on Smiley Avenue, directly across the Arsenal alley from the church. They served as Sunday School classrooms, and the back yards were paved for parking. In 1957, the Evangelical and Reformed Church merged with the Congregational Christian Church to form the United Church of Christ. Mount Tabor experienced remarkable growth in the 1950s and early 1960’s. A major expansion of the church buildings occurred in 1956 including expanding Fellowship Hall into a two-story educational building. The resulting improvements added a small dining room, a lounge, the church office, a small chapel, several classrooms, the choir robing room, a library, the pastor’s study, and a second small office, expanded the kitchen, completed the bell tower and air-conditioned the entire complex. In 1965, a modern ranch home at 3125 Leola Avenue across the Leola alley from the church, became available and the congregation purchased it for use as a parsonage. The Scanlan parsonage was sold in 1974. A Memorial Park was developed on an empty lot next to the Leola parsonage in 1984. The Park contains a gazebo and provides a beautiful and restful spot on the church property. The population changes the city experienced in the 1960’s through the present were reflected in declining church membership. Despite the challenges this presented, Mount Tabor joined in 1980 with six other United Church of Christ congregations to form the United Community in Christ School. The school was located at Trinity United Church of Christ at the corner of Grand and Itaska. It provided quality elementary education for 21 years until closing in 2001. In 2003, Mount Tabor celebrated its 75th anniversary. Worship services take place each Sunday at 10:15am, preceded by pre-service singing and adult bible study and followed by coffee and socializing in Fellowship Hall. The Prayer Circle meets monthly. Active adult fellowship organizations include Women’s Fellowship, the Quilters, a weekly Men’s Breakfast, the Good Timers, the Gathering, and the dartball team. Every summer Mount Tabor joins with five other neighborhood churches to participate in National Night Out and with Southwest Baptist Church to conduct a Vacation Bible School. The congregation looks forward to future challenges and accomplishments with confidence.